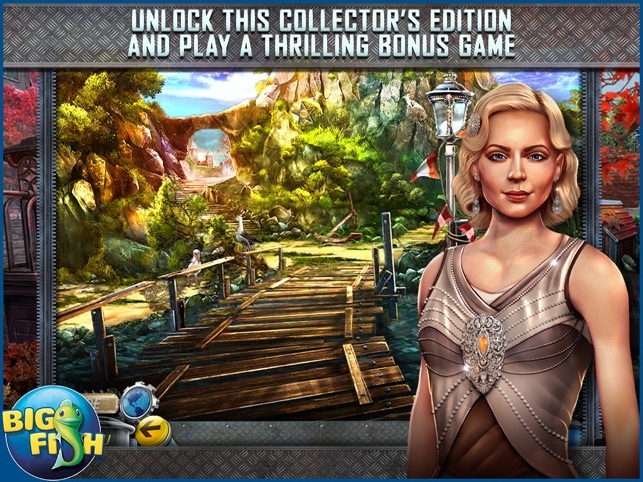 Silver-screen star Veronica West plummeted to her death from the top of a lighthouse on Silvermoon Isle. Was it an accident? A suicide? Or did someone at the party that night kill Veronica? • SOLVE A CLASSIC WHODUNIT WITH AN INTERACTIVE TWIST! Veronica West was having her birthday party on a secluded island when things took a horrifying turn as she died falling from the top of a lighthouse. 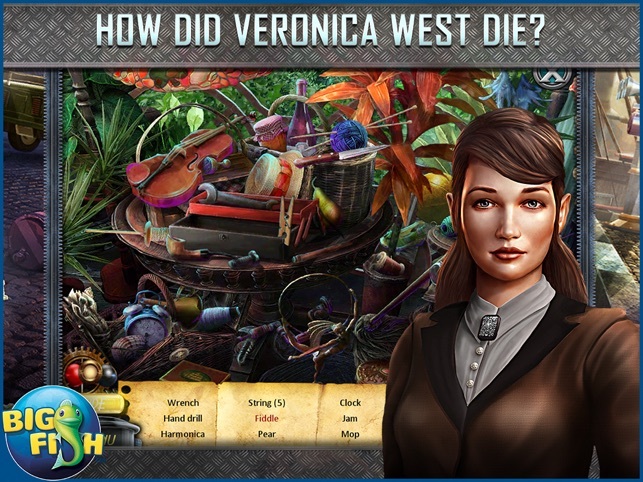 • HOW DID VERONICA WEST DIE? 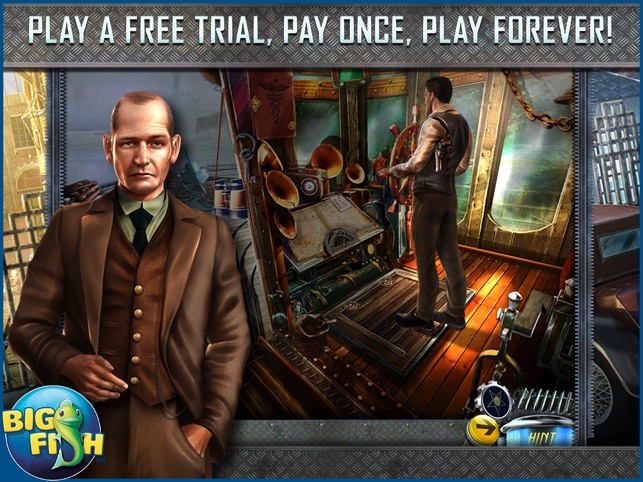 You are called in to investigate the case—all the suspects are still on the island, and there is a huge mansion to be combed through for clues! 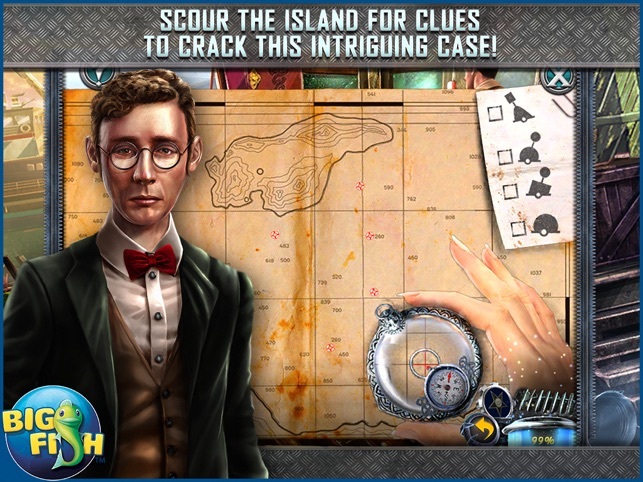 • SCOUR THE ISLAND FOR CLUES TO CRACK THIS INTRIGUING CASE! 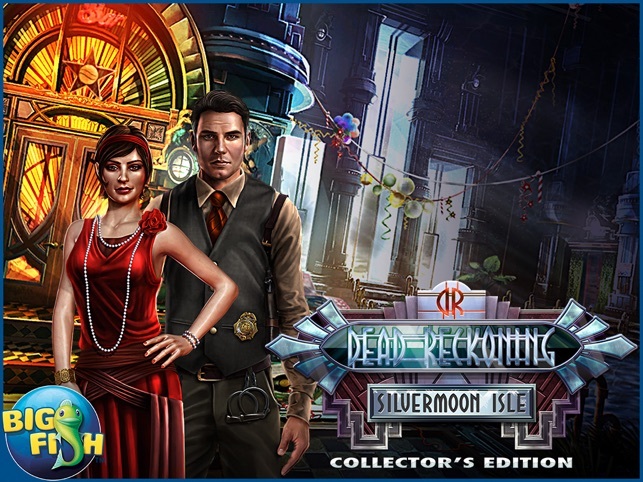 Use your seasoned deductive skills to interrogate suspects, examine scenes for evidence, and solve intriguing puzzles and mini-games! Find hidden collectibles and earn various achievements throughout the game! Plus, enjoy stunning wallpapers, concept art, and replay your favorite puzzles and mini-games! Played a while ago but it kept deleting my review. This game had a great Art Deco feel, with beautiful graphics and interesting cut-scenes. As a detective you get to question suspects and have an evidence board instead of a diary. Objectives are regularly updated. You collect stars, and morphing objects are only in the HO scenes. The HO scenes were varied, and there was an excellent mix of puzzles. Inventory was labeled and there was a teleport map marked with tasks and objectives. The game was lengthy and had a bonus adventure. There were no RATS! This should have been a 5 star game, but there were some issues. The touch sensitivity was terrible. You had to tap really hard in the HO scenes to pick up inventory. Also it was very hard to navigate unless you used the map. The inventory "hovered", and sometimes when you picked up an item, it hit the back tap area and moved you to the prior location. Also in order to access evidence and the map, you had to exit the game and go into the menu. I would have preferred a regular inventory bar, a journal for the evidence and a map tab, so you wouldn't have to exit the game! However the game was very interactive and if not for these issues was a great game! EIPIX, definitely a sequel with these issues resolved! Well done! I play a lot of these HOP games, and this is the best I've played in a long time. The story has to be engaging for me to buy it, and it was. The actual gameplay was nearly flawless. There are new tools in the game, like an evidence board instead of a diary. I particularly liked the ability to question suspects. The HOPs were interesting and varied, and they put effort into thinking up new mini games, not rehashing the same ones we've seen before. The morphing objects were inside the HOPs, which was a nice surprise. If you miss a morphing object or a star, you can go back and get it without having to replay the whole game. The Art Deco artwork was beautiful. For me to buy a game, it must have a combo of engaging story, beautiful art, and solid gameplay. This one scores high on all 3. The only very slight criticism I have is that when hovering over something in your inventory to check its name, sometimes that will trigger you to go back to the previous screen. But this is a very minor nitpick of an almost perfect game. I'll look for Eipix titles in the future. I have been playing the free game and thoroughly enjoyed it. When I checked to buy the game I saw that it cost $6.99. That is a lot of money for a game. Frankly I've been burnt by a Big Fish game where the Hint button quit working. I cannot get through these games without a Hint button so the game is unplayable to me. That game was $6.99 and I was unable to get my money back. This is why I hesitate paying this much money for a game. Anyway, what I have played of the game has been very interesting and enjoyable, and not just the run of the mill HOG. 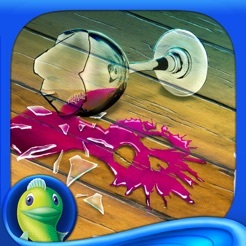 I would recommend this game to anyone who enjoys these mystery/HOG games.